Lakesound is only a 220 mile drive from Chicago, Detroit or the Mackinac Bridge. 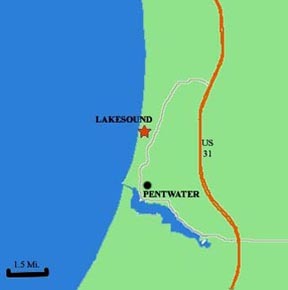 Lakesound is located just one mile north of Pentwater, Michigan in picturesque Oceana county. Pentwater is located 14 miles south of Ludington. If you would like a tour of the property, please contact us for an appointment.